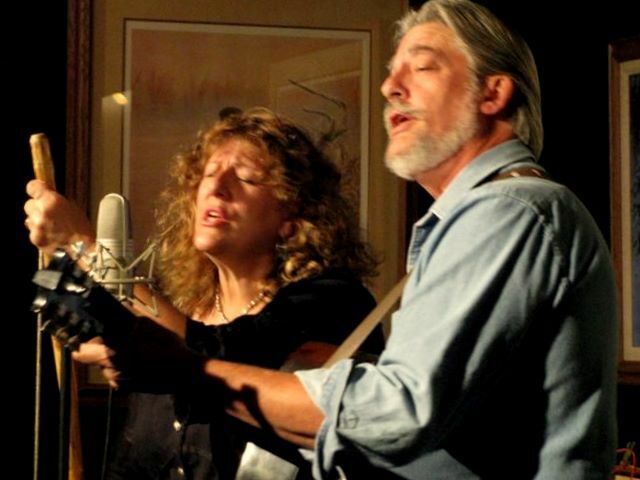 Whitt & Judy, "The Washtub Two" combine Hit Parade favorites; country oldies, western, traditional folk, ragtime, blues, and gospel--with "storysinging & songtelling," a style of interpreting traditional and original material that is their own. Their classic & original comedy is topical and timeless. Whitt plays guitar, does the arranging, and writes a lot of the songs they sing, specializing in “updating” songs. He has entertained over 2500 troops waiting to "deploy" for the Persian Gulf War, played to delighted audiences at showcases for the World Folk Music Assn. in Washington, D.C., and performed on the main stages at the Border Folk Festival in El Paso, TX., and the Tucson Folk Festival. 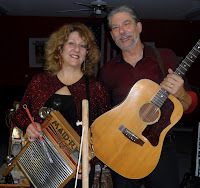 Judy comes from a background in theatrical arts with a lifelong love of comedy, adding clear, honest vocals complimented by a washtub bass that confounds bassists who have to rely on four strings to get the job done. She also plays flute, mandolin, bodhran, harmonica, ukulele, banjo-uke, jawharp, and rhythm washboard, with some surprising percussion and sound effects. She contributes to most of their original songs, and their trademark “introductions." Whitt & Judy are, in the words of one presenter, "great fun and great music! "As one fan put it, "The closer you listen, the more fun you'll have!". Continuing in the “live performance” format, this CD reveals some of the duo’s progress as musicians and singers. Also presented as two complete shows, this album contains over 75 minutes of material. as musicians and singers is again evident; but, the repertoire and the comedy are what set this pair apart as entertainers. This is a compilation of gospel music from the first two CDs, for folks who want only gospel. "Alive at the Living Room"
in Pontiac, Michigan. Our first DVD! One camera, one hour, one show. "The (McKinney) Washtub Two did an awesome performance in our park. They have the best variety of musicality, wit, humor and fun in their show that I have experienced. Audience participation is encouraged and everyone who attended their show, thoroughly enjoyed their time. It was a great experience to have The Washtub Two at our 55+ park. Their program is for all ages to enjoy." 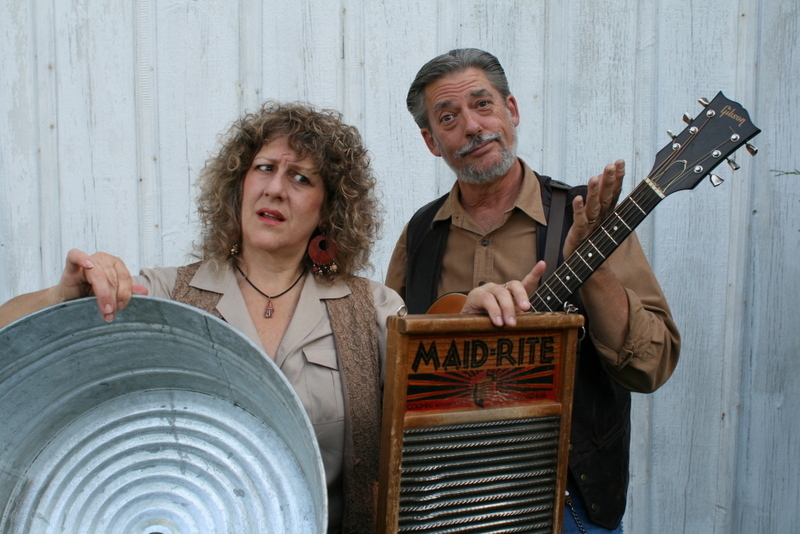 "The (McKinney) Washtub Two were one of the best RV Rally acts we've seen"
"I have been playing your CDs over and over in my pickup every time I go somewhere and it seems that each time through I hear something I missed before. Your comic timing is a lot of what makes it work so well. I hear that over and over in your back and forth in your work. You guys did a great show, and I noticed that the audience agreed!!!! I'll play a tune or two from them on the weekly Shady Grove Web Radio shows. Did you hear the two songs I lifted from your Web site? "This is no ordinary band...this duo does songs known to all of us...with a twist. The show included a lot of audience participation on many songs...& lots of laughs as well. At one point I was laughing so hard I was crying!! If you ever get the chance to see this duo-I highly recommend it!" Website designer, Nyack College, N.Y. They put in a very fine performance, and I hope they will be able to return." Whitt's intro's are bloody hilarious. Judy's are too! It's classic stuff! Thanks again!" "I don't know when I've had such a good time! You should have heard the one about the Ghost Chickens! Aaawkkk!" MC & Mgr. of "The Hungry Ear Coffee House"